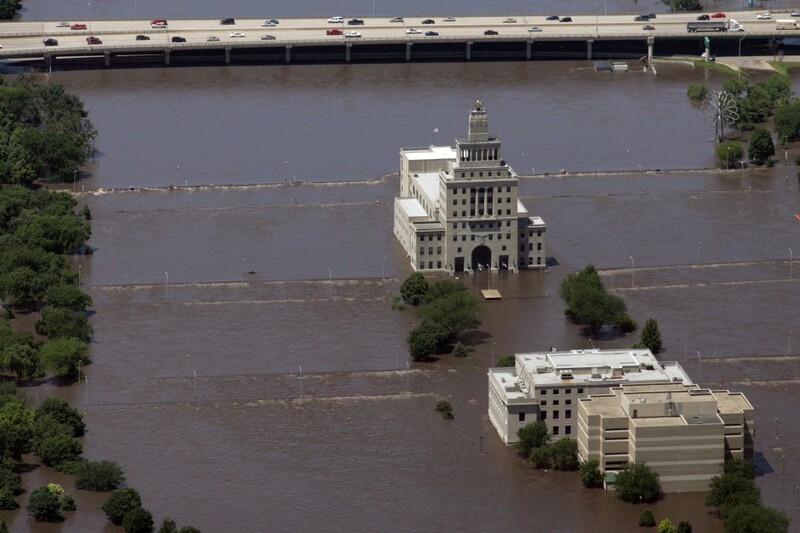 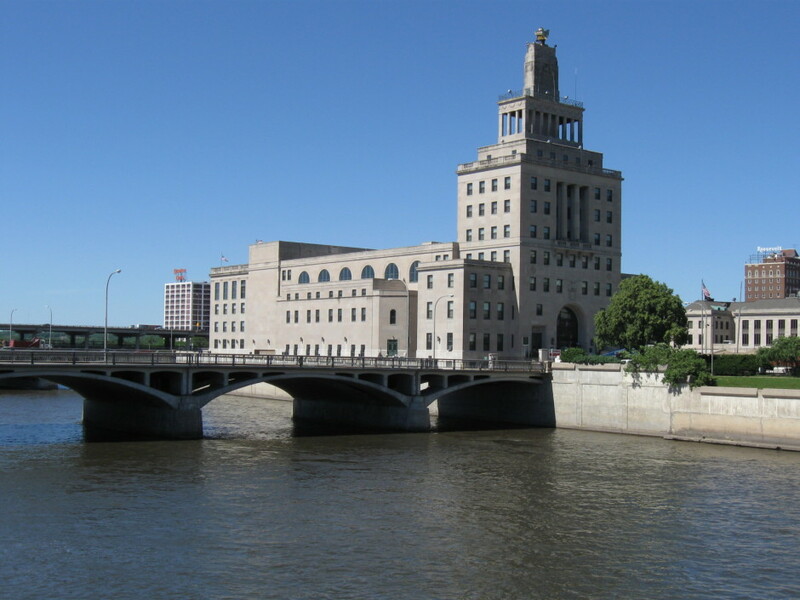 The Veterans Memorial Building in Cedar Rapids was severely damaged in a catastrophic thousand-year flood that struck the city in 2008. 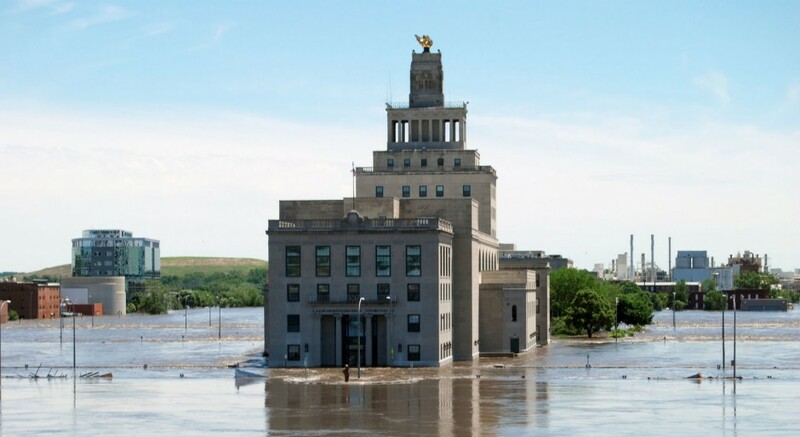 Located on May’s Island, in the middle of the Cedar River, the 110,000 square foot, civic building suffered damage to nearly 70% of its structure and interior. 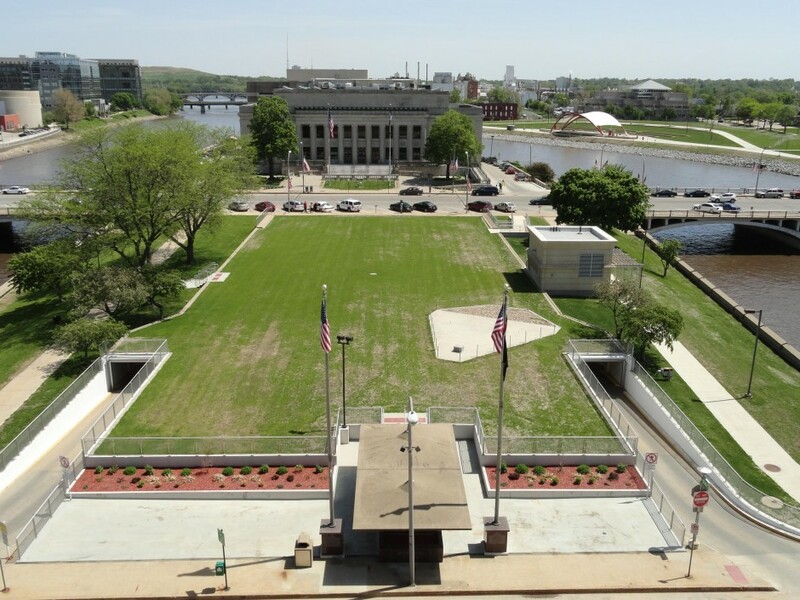 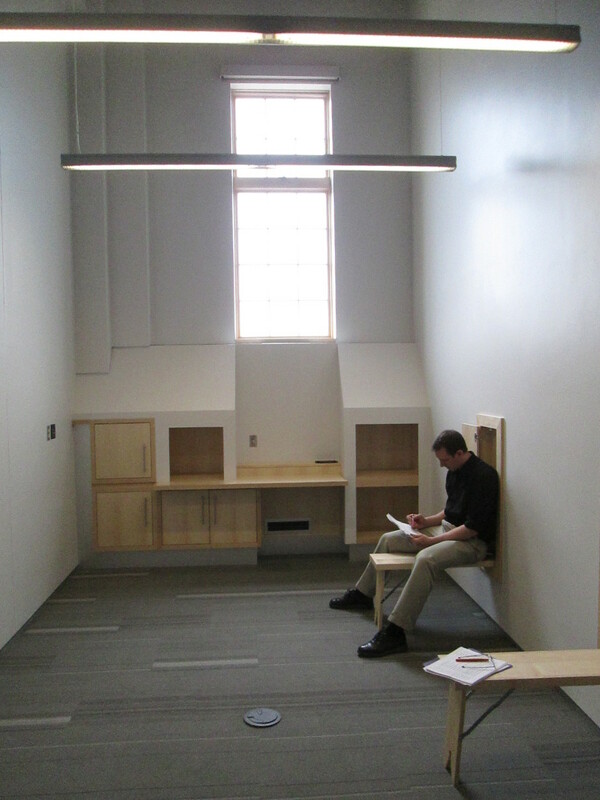 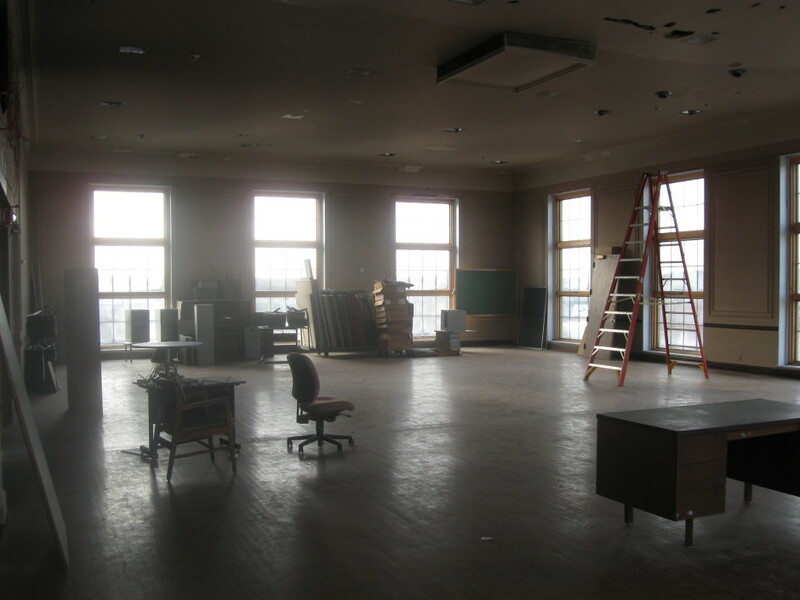 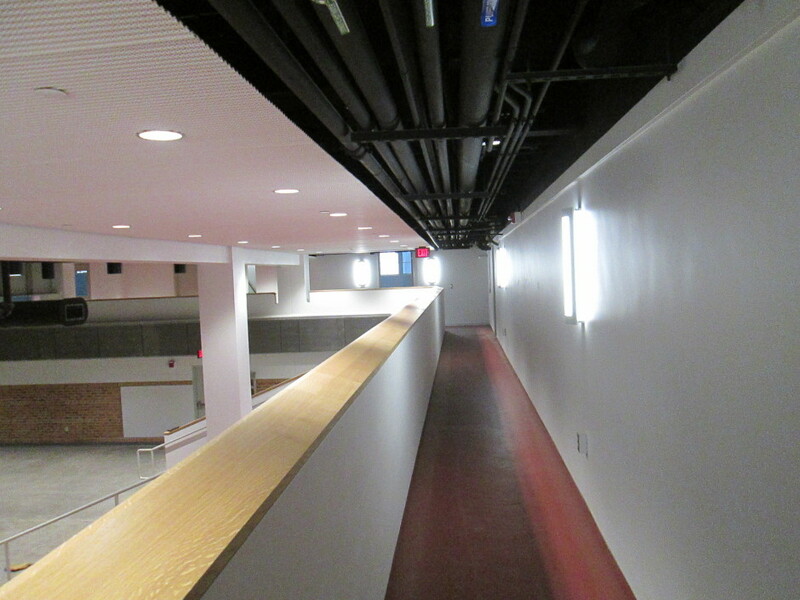 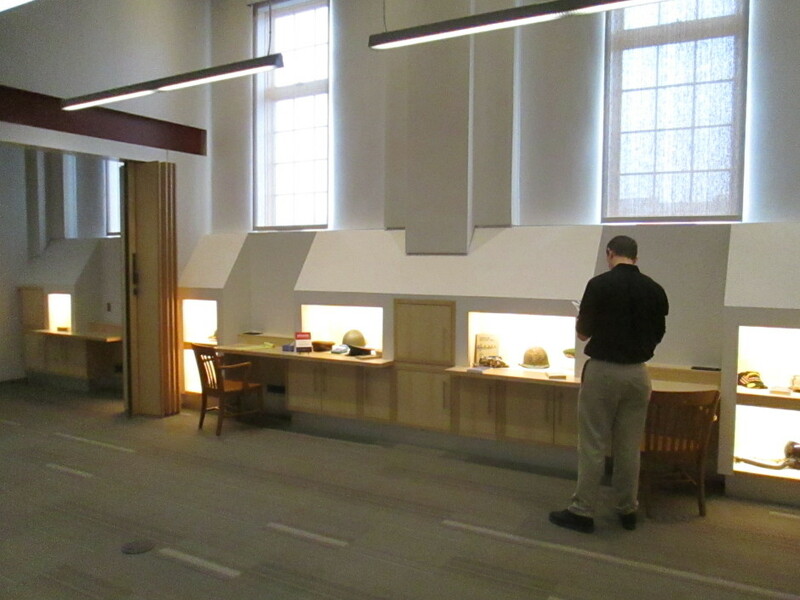 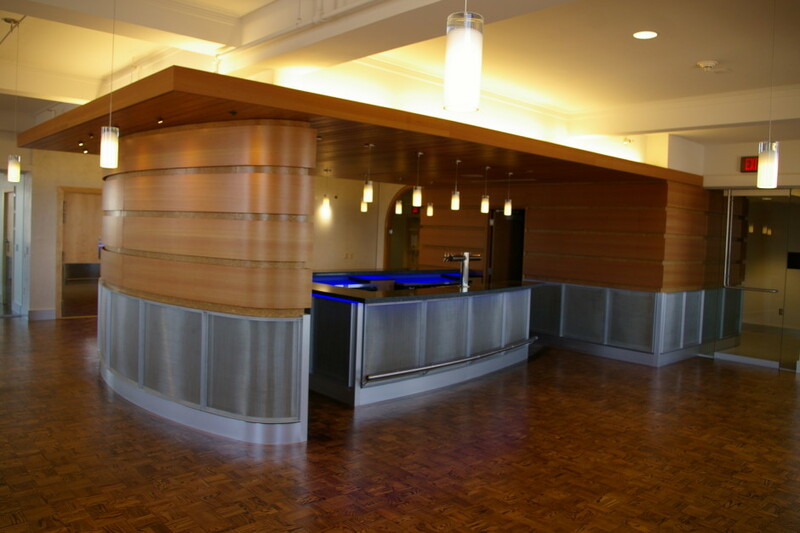 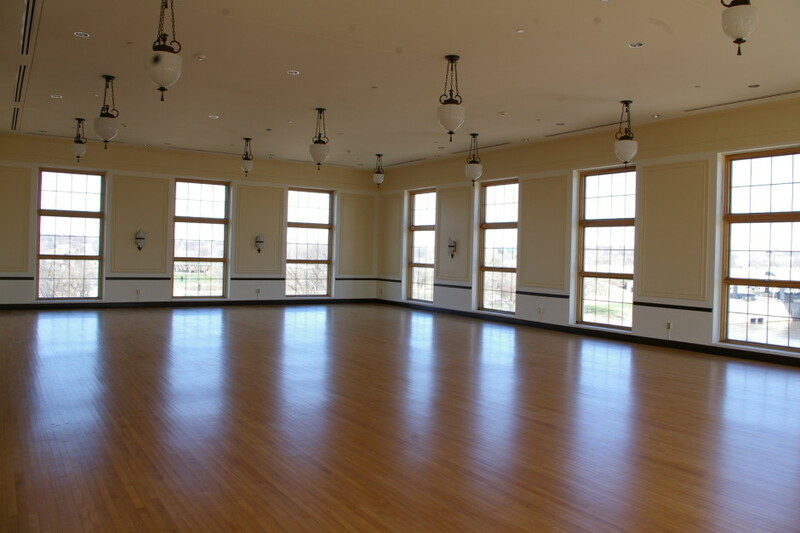 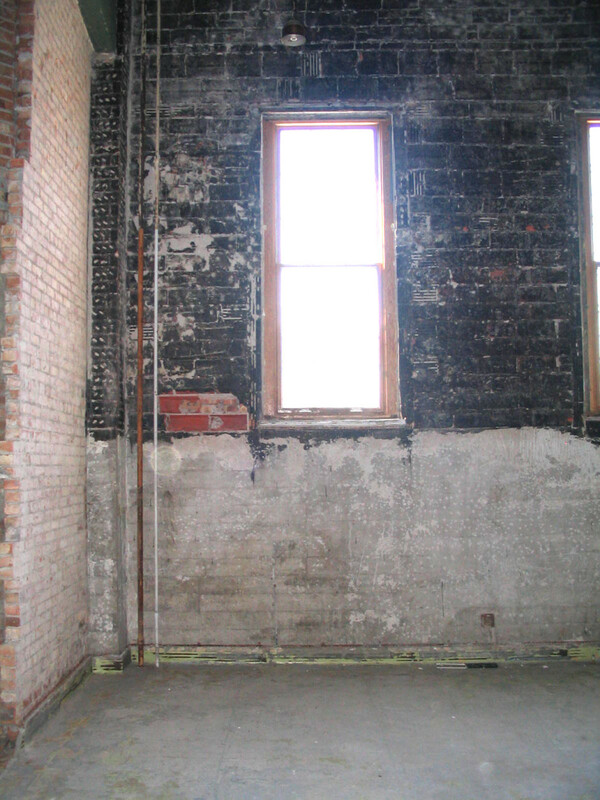 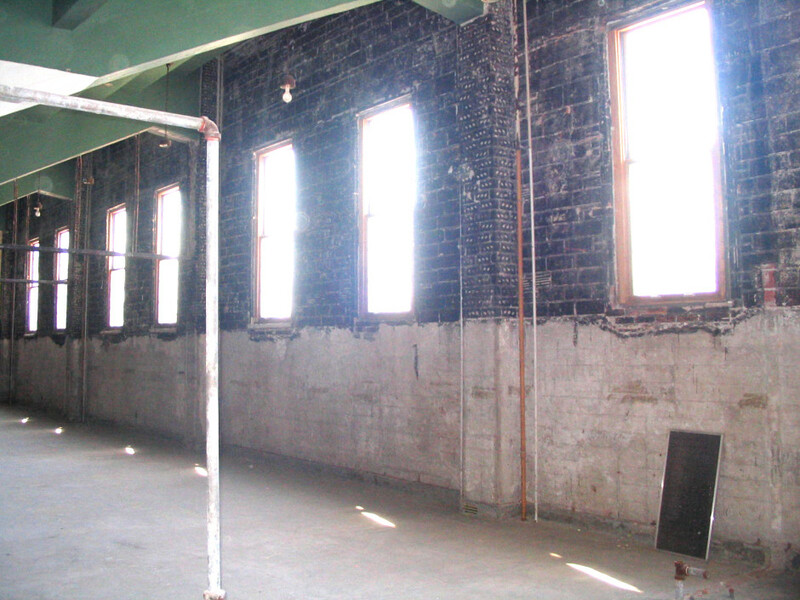 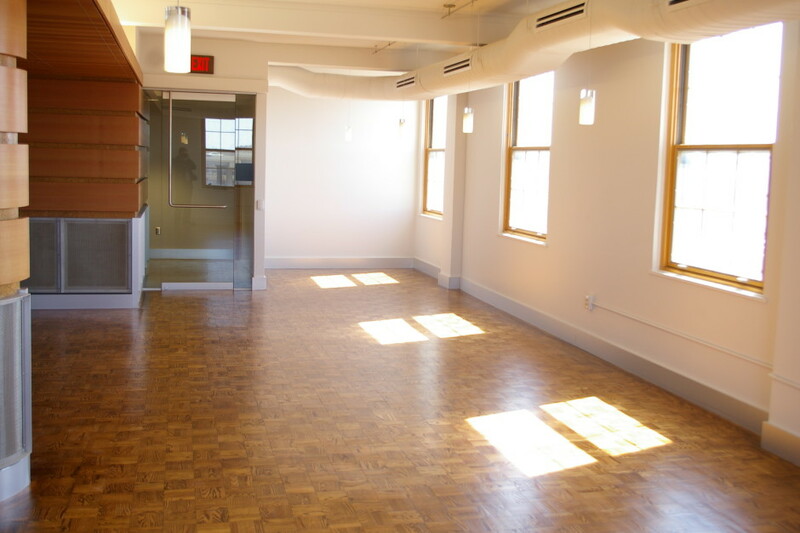 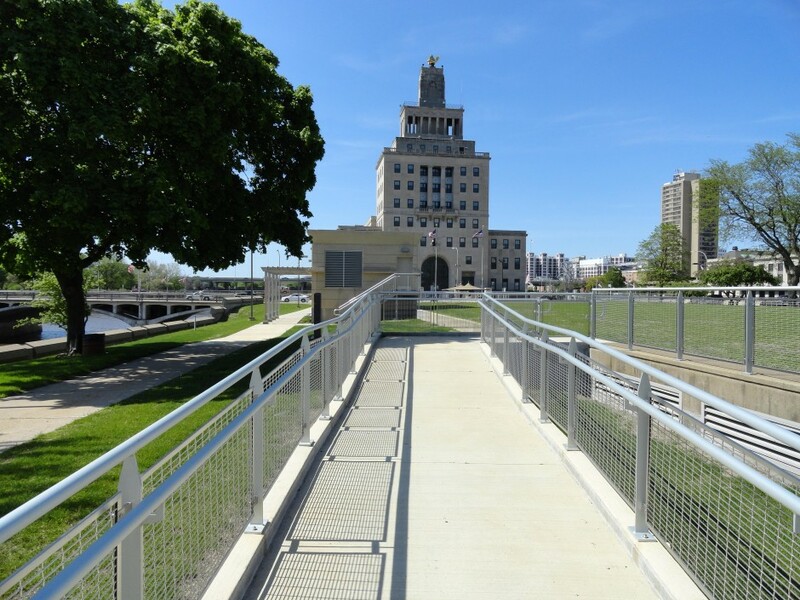 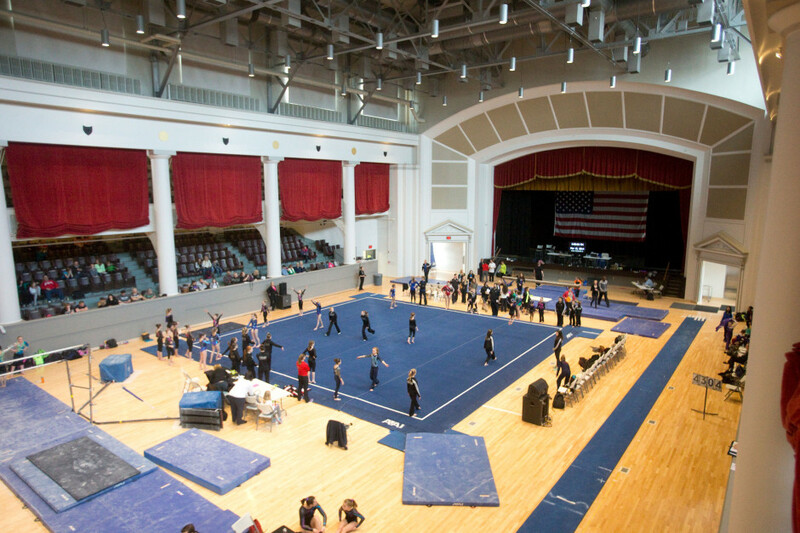 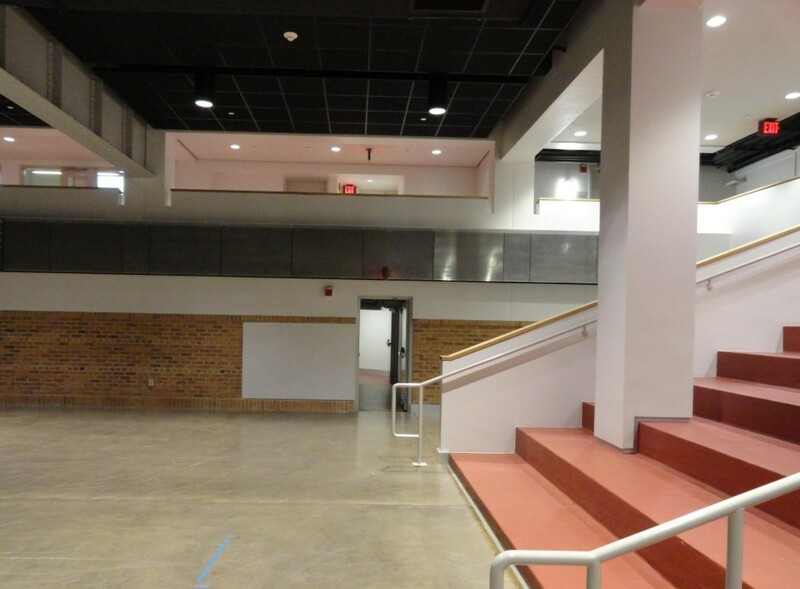 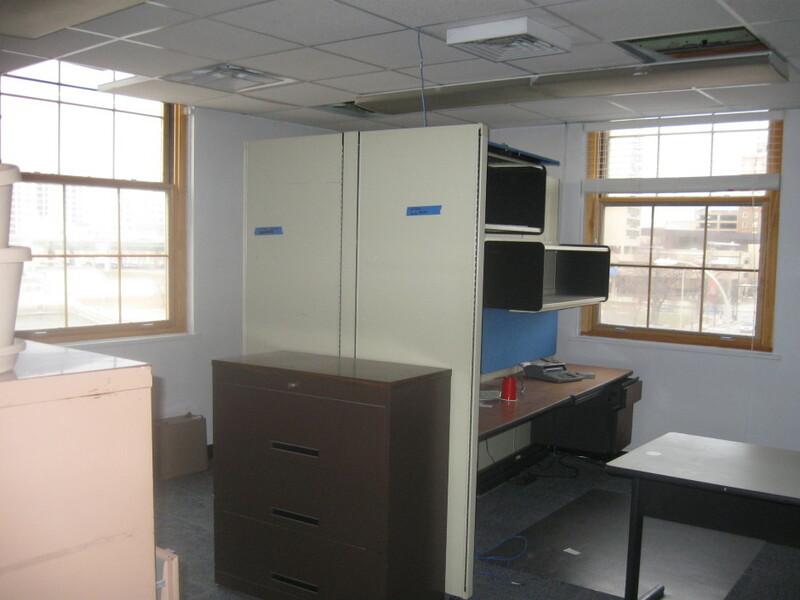 Alt Architecture was hired by the Cedar Rapids Veterans Commission to restore the building and reprogram the interior. 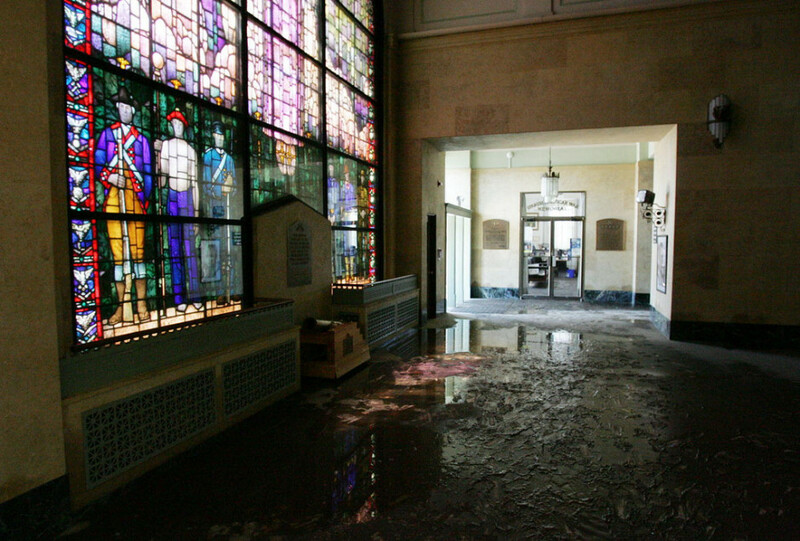 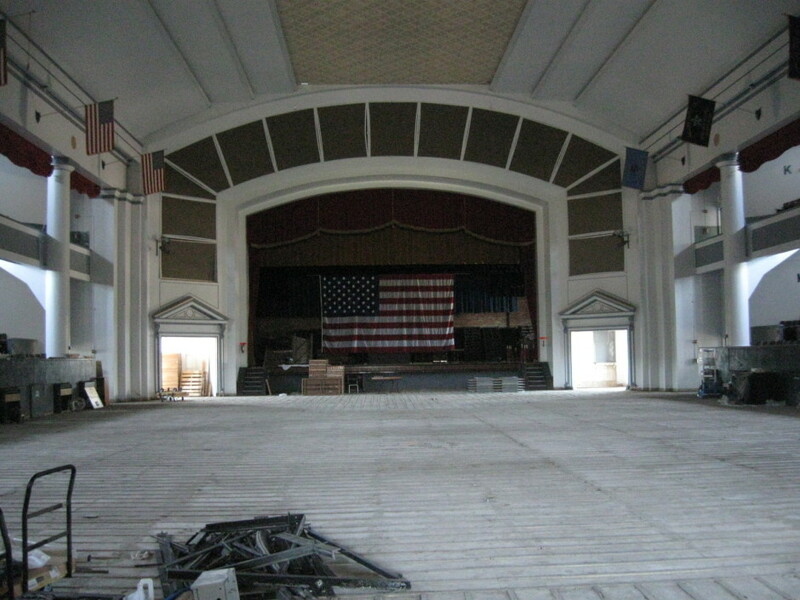 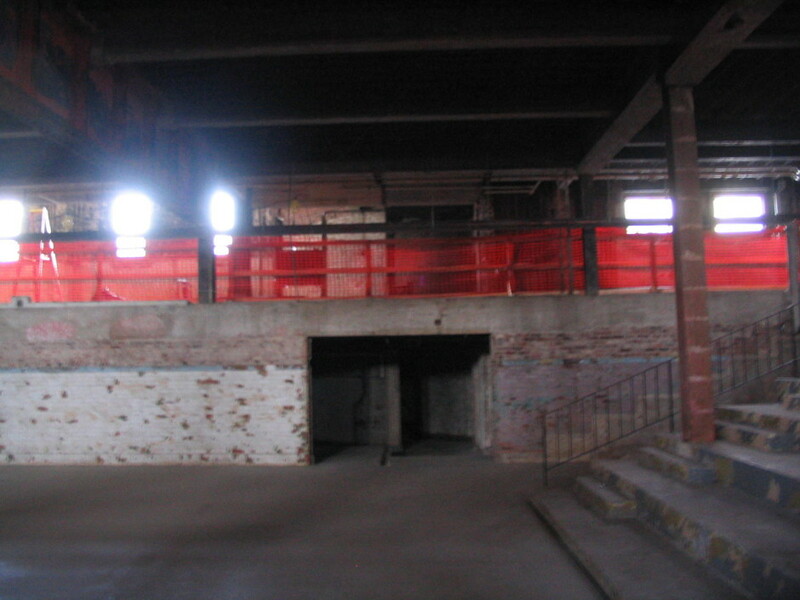 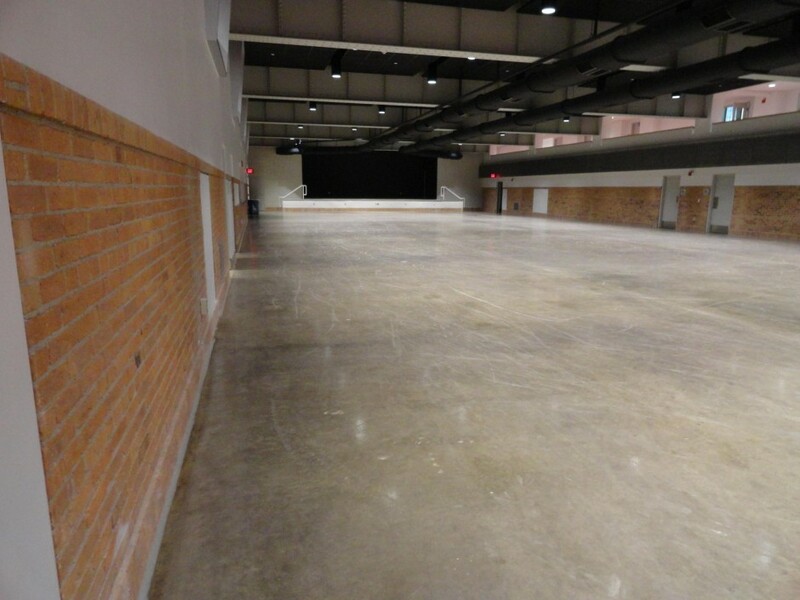 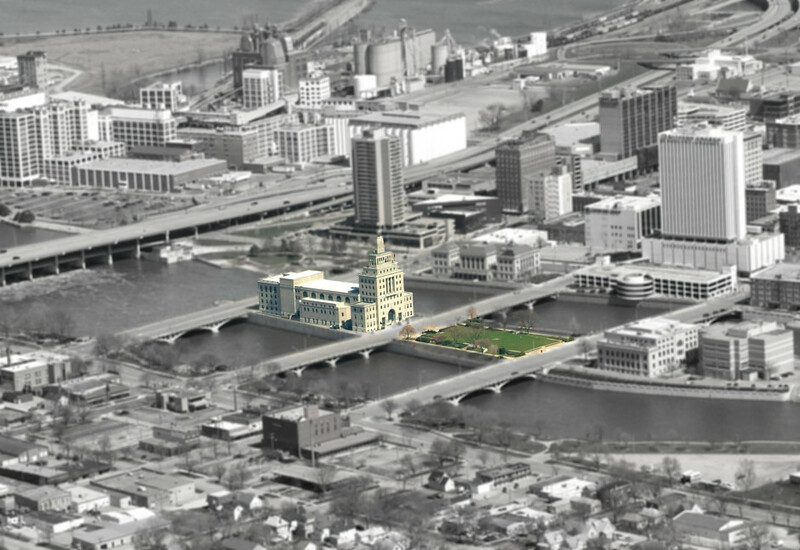 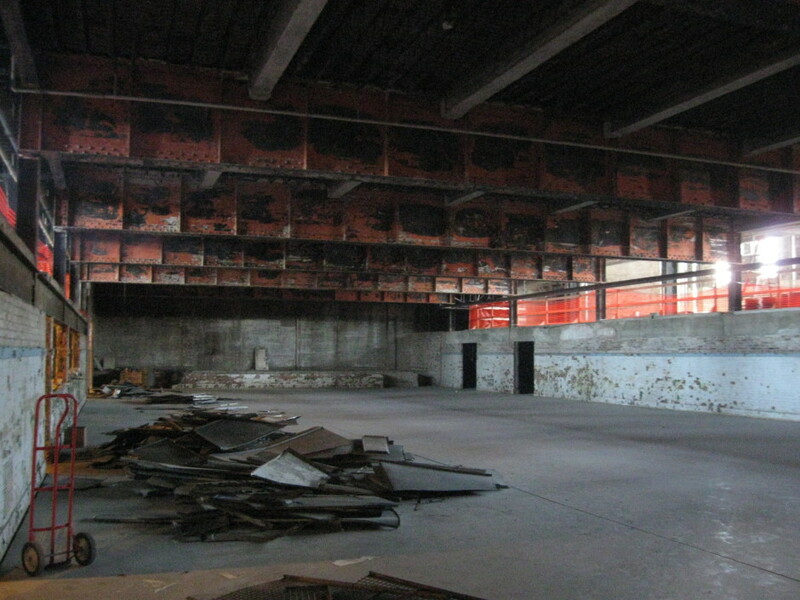 The project converted what had been—by turns—the city hall, government offices, chamber of commerce, and an auditorium that had been abandoned for seven years prior to the flood into a thriving building focused on providing healing spaces (as well as economic generators) for Veterans, and public spaces available for community use. 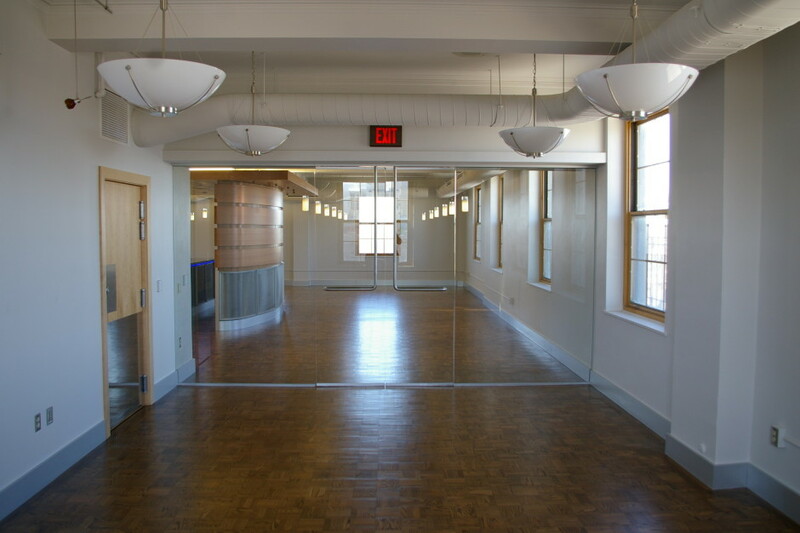 The building’s entry features a stunning stained glass memorial window by Grant Wood, measuring 20’x24’. 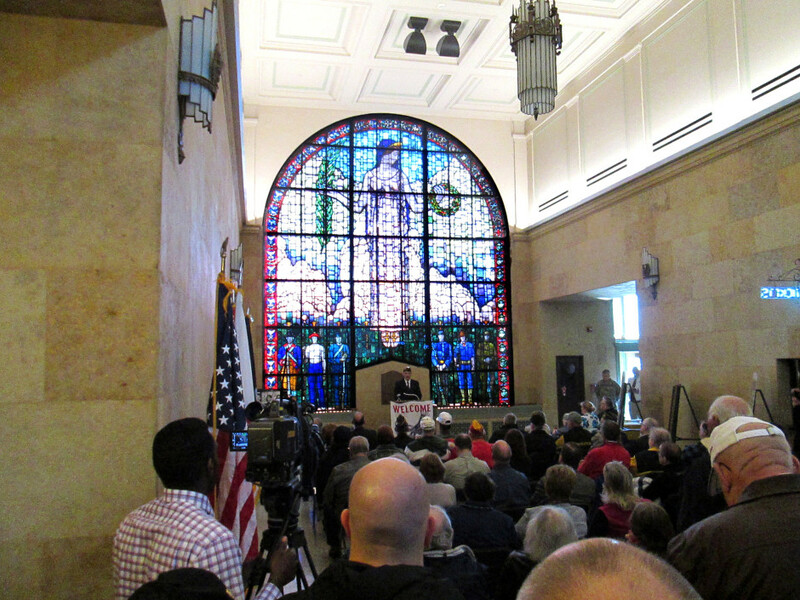 The only stained glass window by Wood, the window is dominated by a woman (described by some as the allegory for the Republic, Peace and Victory, or Mourning), in the center, and under her, fields of corn and soldiers from the American Revolution, the War of 1812, the Mexican-American War, the American Civil War, and World War 1 (of which Wood was himself a Veteran). 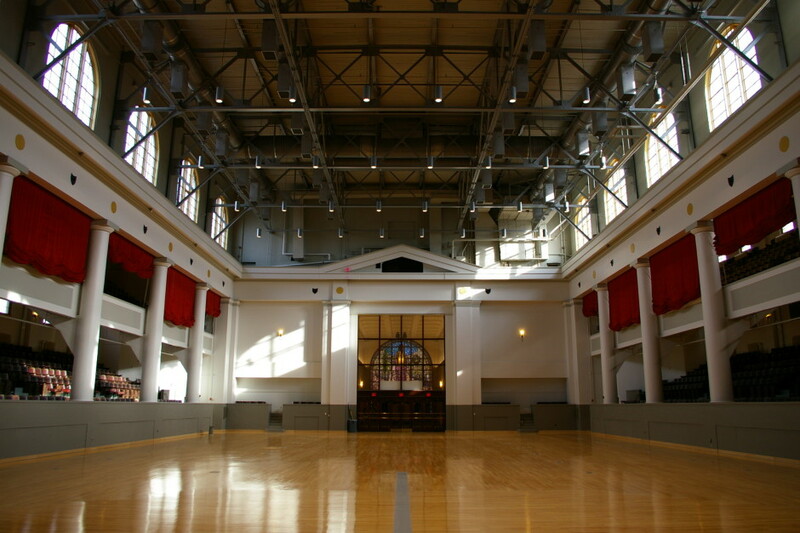 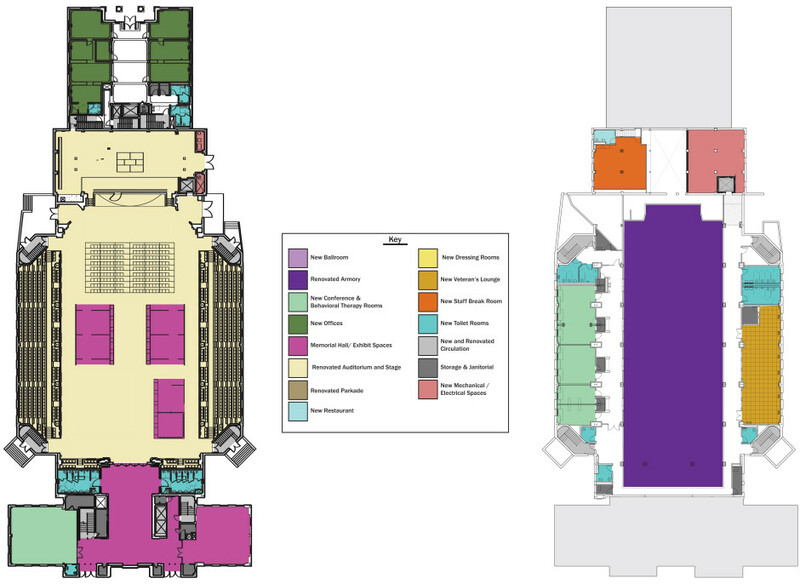 The new building houses a military museum, a fully restored auditorium with seats for 2,000, a conference center with spaces specifically designed for Veteran peer mentoring and therapeutic workshops, offices for behavioral and physical therapy for Veterans, a food pantry for homeless Veterans, a ballroom, a restaurant, a serving kitchen that can cater to 500 guests, and offices. 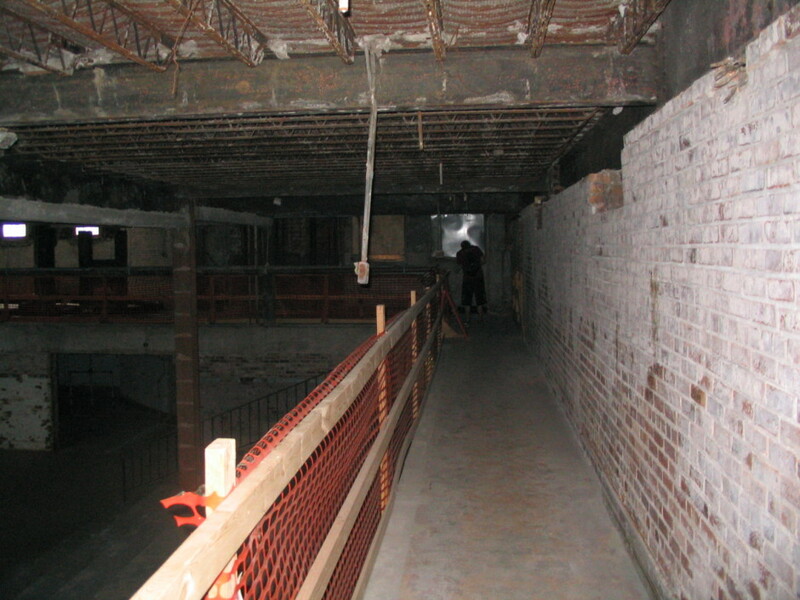 The building’s mechanical, electric, and plumbing systems were all replaced as well—some replacing original elements from the 1930s.